Have a look on eBay right now, I've listed two whole trays of Lea's stamps. 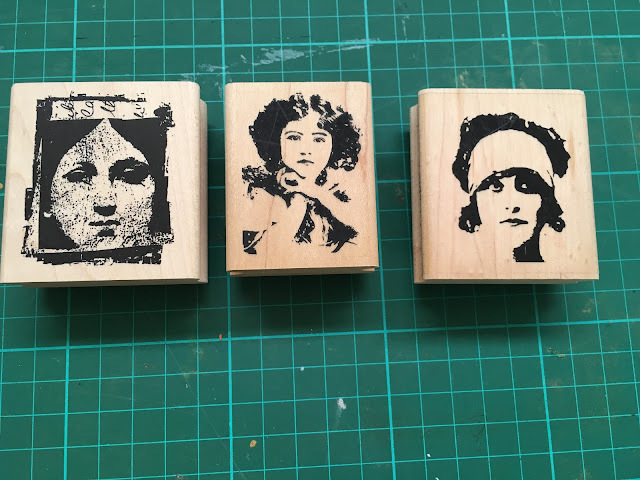 One had stamps of women, and the other, more decorative, including some architectural details. That stamp in the middle is from Collections, an Aussie company famous for arty designs. There are mixed brands - some I've grouped together by theme, and some are single stamps. There are LOTS more women-themed stamps to come, Lea has obviously been a big fan of inspiring women. Buyers who'd like to come and collect are especially encouraged! As long as you are a nice visitor, you'll be saving me time and trouble, and saving yourself postage. Where did all the arty rubber stamps go?